Private Bass Lakes 3/4 Day! Join Sasquatch for the its' newest experience! The Bass Trip! Learn to fly fish for bass on one of four private bass ponds - catch a variety of species - including Largemouth, Smallmouth, Panfish, Crappie, Walleye, even Tiger Muskie! This all inclusive trip will change the way you look at warm water fishing. This trip is open to ALL AGES and those that are 12 and over will learn to fly fish for bass using poppers, minnow imitations, and damsels. While those little people (12 and under) will throw crank-baits and spoons. 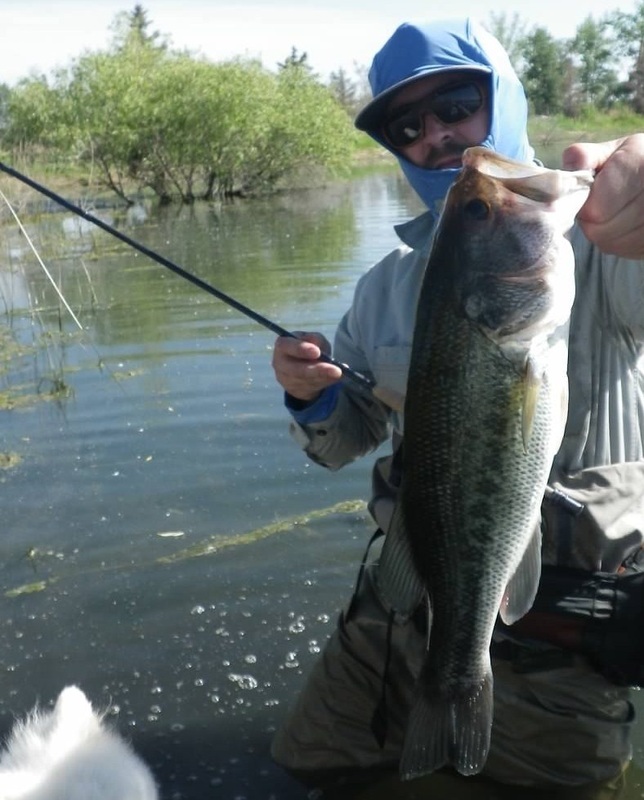 Hold on to your rods because big bass are not an uncommon thing to catch! Details: Trip is all inclusive - rod / reel, waders, boots, private lake day pass, and flies. NOTE: Trip is located one hour drive from Estes Park - please plan accordingly in case of any traffic delays on the way back to Estes Park. Evening fishing at its finest! Enjoy an evening of fly fishing for bass, pan fish, walleye, and more at our Private Bass Club! 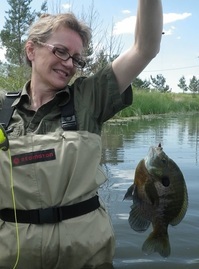 You will enjoy learning the art of casting a fly rod for these amazing fish! Just when you thought it couldn't get any better - sit back and relax for a full on cookout! Play some pool or shuffleboard as you relax in the private clubhouse eating! Truly the greatest trip of the week! Details: Trip is all inclusive - rod / reel, waders, boots, private lake day pass, BBQ cookout (hamburgers, hotdogs, chips, sodas, desert), and flies for the trip. NOTE: Trip is located one hour drive from Estes Park - we will not return until after dark. This trip is for ALL ages -but those 12 and older only will fly fish. Younger participants will be spin fishing.